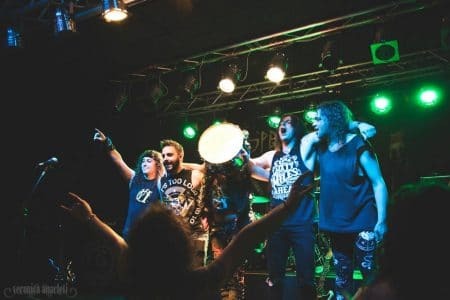 Italian hard rockers Speed Stroke‘s singer Jack recently obtained a new nickname of “Snarehead” due to a mishap onstage. 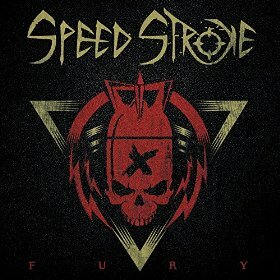 Speed Stroke released their album Fury back in March 2016 along with a video entitled for their song “Demon Alcohol” to promote their new record. The Italian rockers are currently hard at work on another video. Lyrics below* Music video by Speed Stroke performing “Demon Alcohol” (Official Video). Taken from the album “FURY” © 2016 Bagana Records (Italy). Directed by Filippo Cinotti – VMultimedia Productions Starring: Veronica Anacleti and Speed Stroke Hair Stylist: Samanta Pirazzoli Make Up: Greta Gambini Executive Producer: Trick & Truck BOOKING & MANAGEMENT: Bagana Rock Agency ( http://www.baganarock.com/ ) “FURY” AVAILABLE BANDCAMP: http://speedstroke.bandcamp.com/merch ITUNES: https://itunes.apple.com/it/album/fury/id1084534487 AMAZON: https://www.amazon.com/gp/product/B01BLP18ZS?ie=UTF8&*Version*=1&*entries*=0 And many other stores.